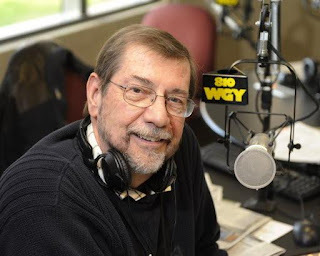 For over thirty years, Don Weeks was among the most popular radio personalities in the Capital District region of New York State. He received a Marconi Award for radio excellence in 2005 and was inducted into to the New York State Broadcasters Hall of Fame four years later. He had just completed a rough draft of Scarecrow on the Marsh when he died of Merkle Cell Cancer in March of 2015. Author royalties from this project will be donated to the WGY Christmas Wish Campaign, which benefits a variety of charitable causes. Weeks worked tirelessly over the years to help raise money for the campaign. 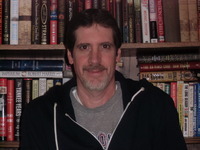 Jonathan Weeks has published several books on the topic of baseball--four non-fiction projects and one novel. His latest work, a mystery-thriller entitled Scarecrow on the Marsh, is a posthumous collaboration with his father--former radio icon Don Weeks, who passed away in 2015. Weeks finished the book in fulfillment of a promise he made to his father before he died. When the mutilated body of renowned cosmetic surgeon Randall Landry turns up at a secluded bayside marsh in the town of Sandwich, Police Chief Thom Burrough's life is turned upside down. 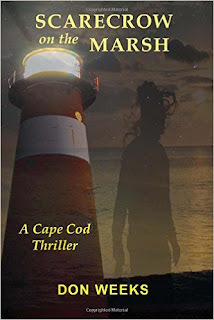 While investigating the murder, he and Barnstable County coroner Abby Rhodes will uncover a plot more sinister than anything they could have imagined. On the outskirts of Chatham, a group of terrorists has assembled to unleash destruction on Cape Cod. I work full time in the Human Services field serving mentally ill adults. I have two daughters aged thirteen and nine. I like spending as much time with them as possible. They’re both athletic. My youngest is in gymnastics and my oldest plays volleyball. I love watching them compete. When I’m not with my kids, I watch a lot of professional sports—baseball and hockey mostly. I’m also an avid reader and movie-goer. I started out drawing comics when I was in elementary school. I read Stephen King’s ‘Salem’s Lot when I was eleven and it changed my life. From that point on, I wanted to be a horror writer. When I was in high school, I had several English teachers who helped me tremendously with my writing and encouraged me to start submitting my work for publication. At some point during my college days, I came down with a serious case of writer’s block. I couldn’t complete a single page of fiction for years. I started writing non-fiction instead. By the time my third book was published, I decided it was time to attempt a novel. To my complete surprise, the words came flowing out of me as if they had been there all along. Setting is not that important to me when I write. I just need a quiet place where I can get comfortable. But if I could go anywhere in the world it would probably be Rome. I’m fascinated with ancient history and would love to see the Roman ruins. London would be nice too or maybe Paris. I’ve got a new writing project going. I would probably putter with that a little then maybe binge-watch some TV. The manuscript I’m working on is set in the sixteenth century. It takes place in the age of discovery. I remember being captivated by the explorers when I learned about them in fourth grade. I’ve always wanted to write a book on the topic. Back to your present book, Scarecrow on the Marsh, how did you publish it? I started out looking for traditional publishers. I didn’t have a literary agent so the big publishing houses were not an option. I targeted indie publishers and ended up signing with one that uses a print-on-demand format. I like the way this works. With lower publishing costs, POD publishers pass on the savings to authors by offering higher royalty rates. I was able to complete all of the research for Scarecrow on the Marsh from the comfort of my own home. That’s the beauty of the internet. Why was writing Scarecrow on the Marsh so important to you? My father, who I loved dearly, died of Merkel Cell Cancer in March 2015. His lifelong dream was to be a published author. He completed a rough draft of Scarecrow on the Marsh shortly before he passed away. As he lay on his deathbed, I promised him I would finish the book and try to find a publisher. This may sound a bit strange but most of my ideas come to me in my sleep. Not in dreams—from the process of sleeping itself. I always wake up with new concepts. If I don’t get to my computer quickly, they fade away. 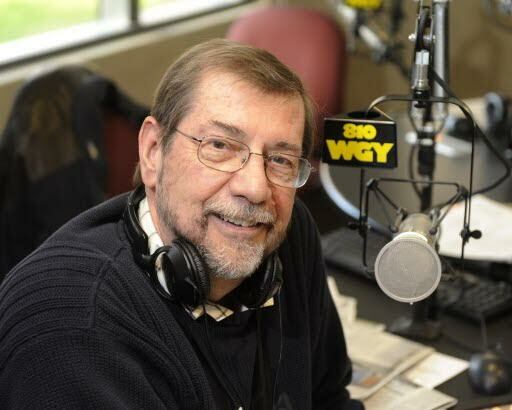 For thirty years, my father was among the most popular radio personalities in the Capital Region of New York State. Every year, his radio station sponsored a charity drive known as the WGY Christmas Wish Campaign. It benefits sick and underprivileged children in upstate New York. I am donating all author royalties for Scarecrow on the Marsh to this year’s campaign. I hope readers will consider picking up a copy of the book to help out a great charity and to keep my father’s memory alive. Thanks so much for hosting my book tour. I had a great time doing this interview!